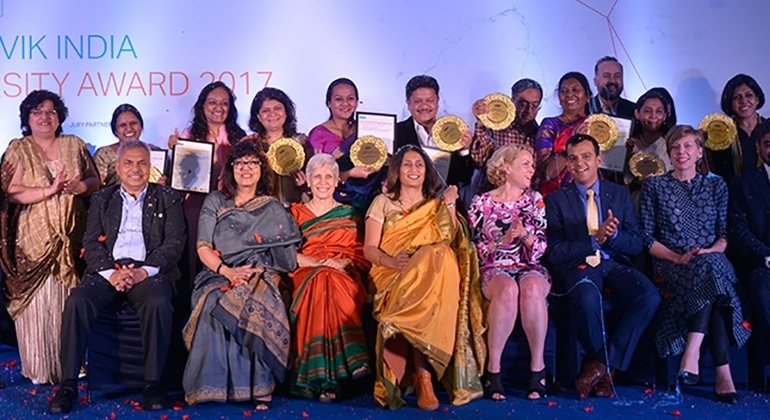 Sandvik’s commitment towards promoting gender equality and inclusion in communities and commitment towards building a sustainable future for all has taken form in the Sandvik India Gender Awards, established March of 2016. The award process is a unique platform to be mentored by the industry experts and receive financial support towards strengthening your endeavor. The jury partners are Ulrika Sundberg, Consul General of Sweden in Mumbai, Sara Larsson, General Manager of Swedish Chamber of Commerce India and Kamal Singh, Executive Director UN Global Compact, India. Sandvik India Gender Awards 2018 is now open for applications and do share the application link in your network! Geographic reach of the awards for 2018- Maharashtra, Gujarat, and Goa.